This is a book about proximate mechanisms. 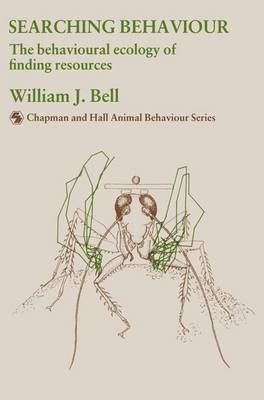 Although some theoreti- cal structure is used to introduce the subject, the intent is to offer a comprehensive view of the mechanistic side of searching (or foraging) so as to balance the current emphasis of books on mathematical and functional models. It seems to me that the pendulum needs to swing back to studies of how animals behave, and that maybe in so doing models will become valuable again in driving experimentation. I have probably included too many examples in this book, and some are even presented in great detail. Hopefully, they provide a complete picture of the kind of animals used, the experimental setup, the kinds of data yielded, and how the data were analysed. I have done this in response to frustrating experiences of reading chapters in behavioural ecobgy books that provide insufficient information with which to evaluate an author's conclusion.